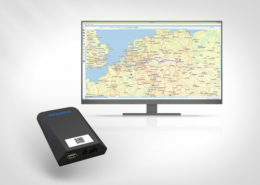 TX-CONNECT MP is a multiplatform version of the back office solution TX-CONNECT, specifically designed to offer a real-time view on the positions and activities of your fleet and to interact with your drivers using any type of PC, smartphone or tablet. At your desk, in a meeting or on the road? Keep the overview of your fleet thanks to TX-CONNECT MP. 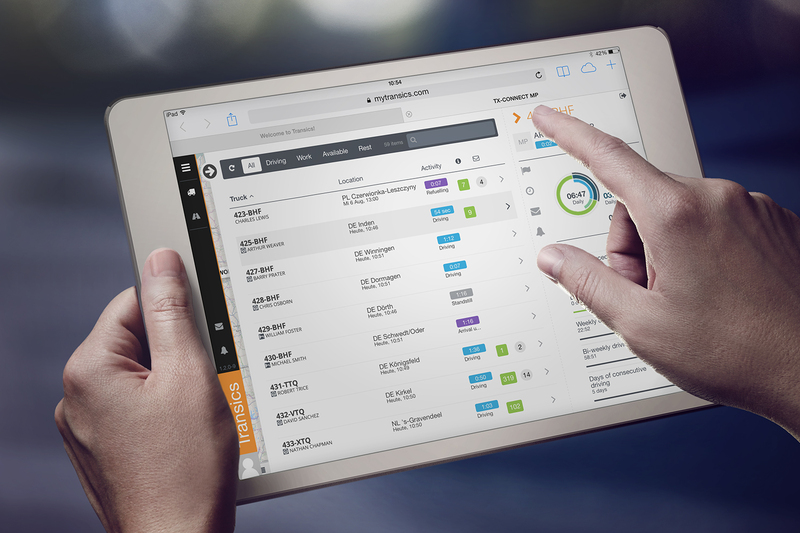 This intuitive tool is perfect for a permanent check on the fleet. How to use TX-CONNECT MP? TX-CONNECT MP helps you monitor operational fleet activities, visualize vehicles and trailers on a map, follow up driving and resting times, communicate with drivers, check trailer status and activities and quickly react to anomalies. Check your trucks’ position and activity status while keeping an eye on points of interest, traffic and weather info on the map. Identify drivers and the trucks they are steering. Watch over driving and resting times. At the same time, follow up routes and activity history. 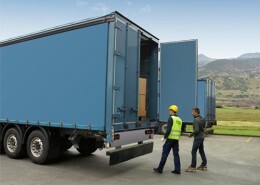 Monitor a trailer’s position and a detailed status overview while tracking the temperature and axle load. You can also check trailer activities and manage alarms. 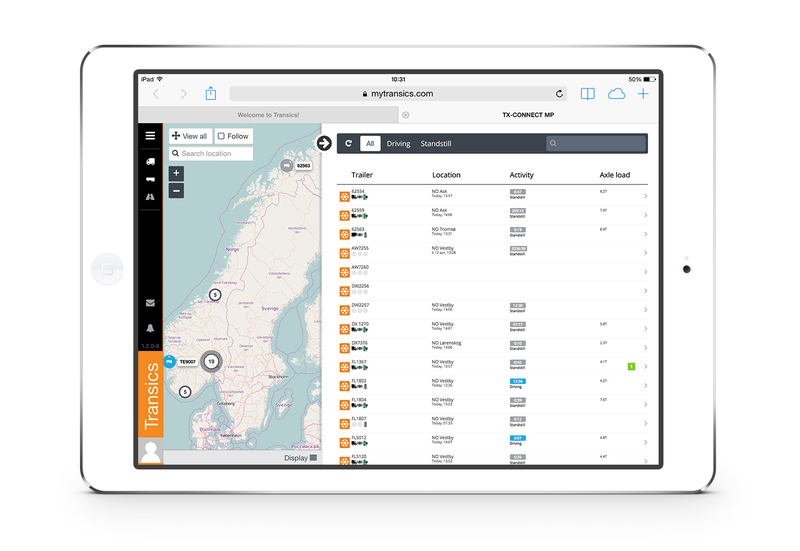 Calculate the shortest or fastest itinerary taking into account cost per km, toll roads, ferries or motorways. Exchange text messages with your drivers. Check whether messages were received, read or treated. Manage exceptions and quickly react in case of deviations and infractions. Check the timing and to which vehicle, trailer and driver an alarm is linked. Verify if alarms have been treated yet. 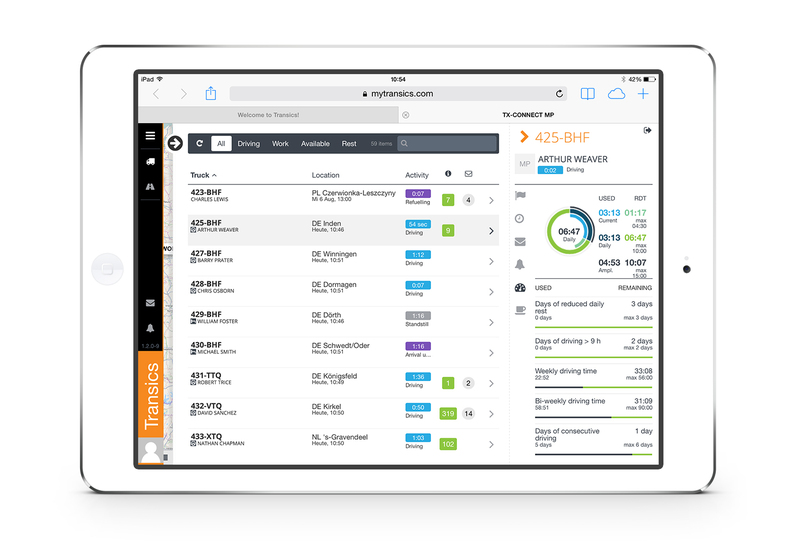 TX-CONNECT MP is the multiplatform add-on for our back office platform TX-CONNECT. 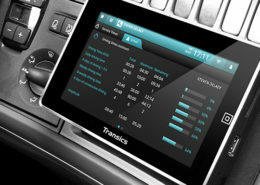 Just as TX-CONNECT, it visualises the vehicle and driver information captured by our on-board computers, driver apps and trailer tracers. Want a visualisation of TX-CONNECT’s full potential? Check out TX-CONNECT. Let us show you how TX-CONNECT MP can benefit your company. Just give us a call or complete the contact form.